Shine with elegance in this blue colored party wear embroidered georgette kurti. 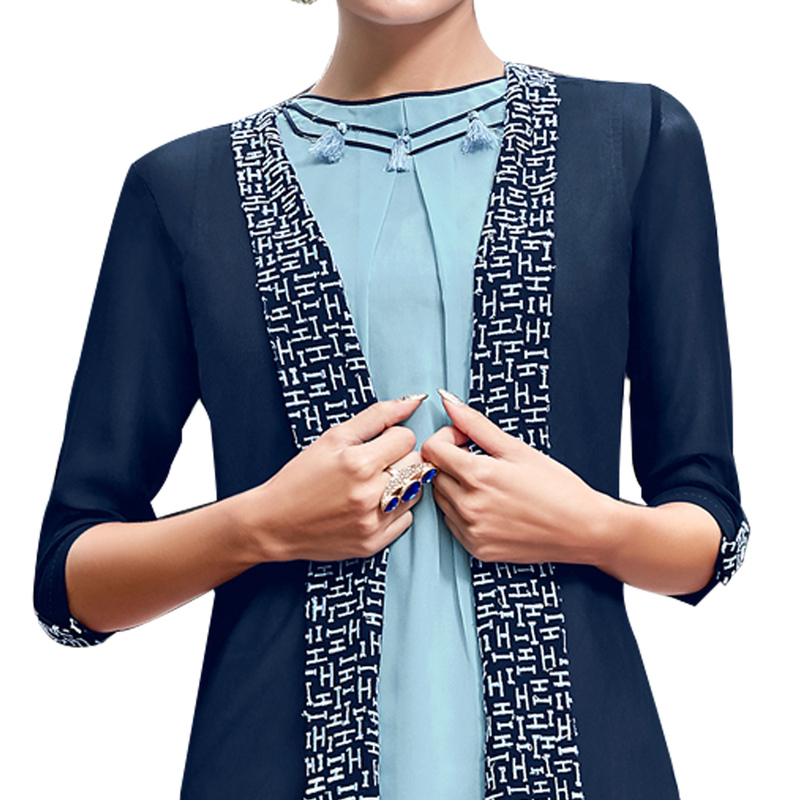 The kurti is stitched and has contrasting color layering on top. The color combination give so much joy to the eyes. 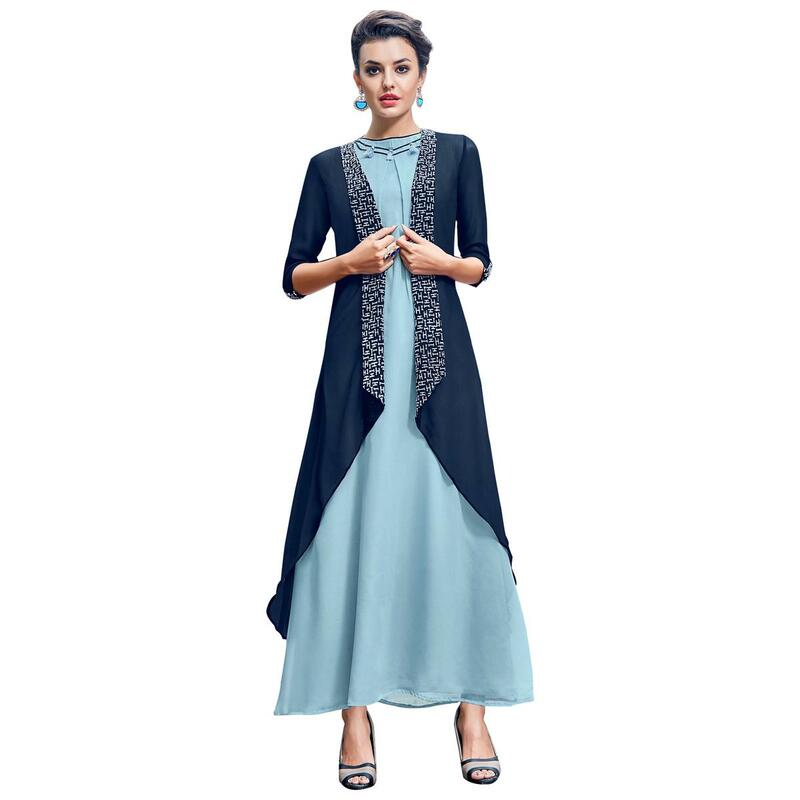 This kurti is perfect for ladies who love light colors and wear them to parties. The combination makes you look so fresh. You can wear this at family functions,kitty parties, occasions or any kind of party events. Pair this with minimal accessory and you will look perfect.